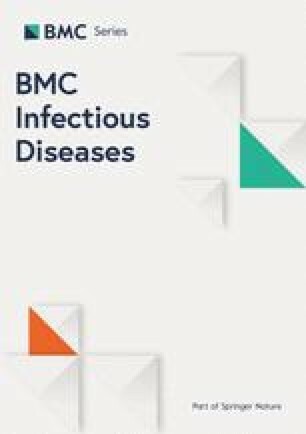 Chronic hepatitis C virus (HCV) infection is a worldwide disease that is responsible for hepatic and extrahepatic morbidity and mortality [1, 2]. A sustained virological response (SVR) corresponds to a complete cure of infection. 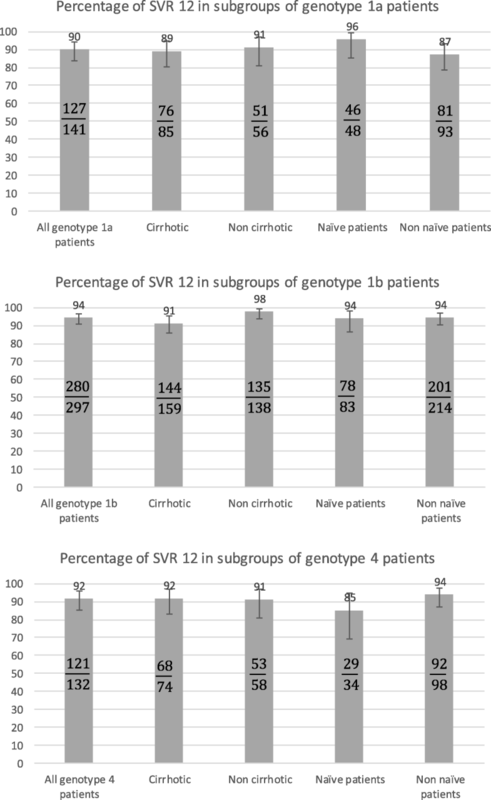 A SVR is also associated with a reduction in HCV-related complications such as cirrhosis, hepatocellular carcinoma, the need for transplantation and death [3, 4, 5, 6]. A better understanding of the viral cycle and characterization of the non-structural proteins of the virus led to development of direct acting antivirals (DAAs) against HCV [7, 8, 9]. Approved in the Spring of 2011, second generation DAAs replaced first generation protease inhibitors, which were then removed from the market in 2014. NS5B polymerase inhibitors (sofosbuvir, dasabuvir), protease inhibitors (simeprevir, paritaprevir, grazoprevir, glecaprevir, voxilaprevir) and NS5A replication complex inhibitors (daclatasvir, ledipasvir, ombitasvir, elbasvir, pibrentasvir and velpatasvir) have also been approved and evaluated [10, 11, 12, 13, 14, 15, 16, 17, 18, 19, 20, 21]. A combination of pangenotypic drugs is now recommended to treat chronic HCV infection, while EASL guidelines no longer recommend the combination of sofosbuvir and simeprevir [22, 23, 24]. 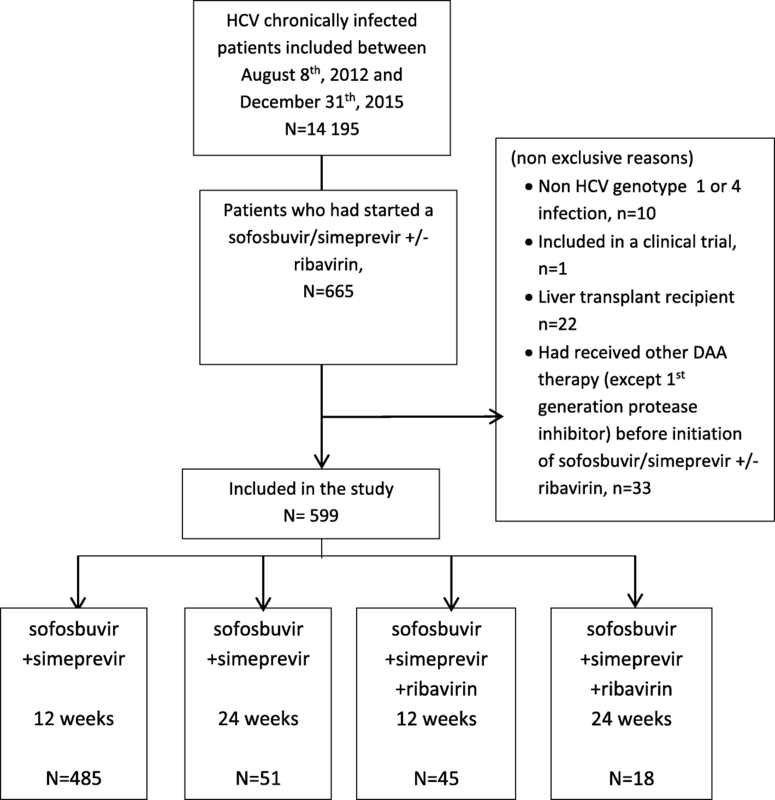 For the European Association for the Study of the Liver (EASL), antiviral therapy should be considered in all patients with chronic HCV infection because of the efficacy and safety profile of DAAs. Because of the long timelines for approval and in addition to clinical trials, preliminary real-life results of the combination of sofosbuvir/simeprevir have been extensively reported [25, 26, 27, 28, 29, 30] from the United States (US) in patients with genotype 1 infection. However, real-life data from Europe or outside the US, and for genotype 4 are limited [31, 32, 33]. It is not possible to compare our results with those of other studies, clinical trials or real-world studies, because the rate of “difficult to treat” patients differed. The SVR12 rate in the real-world US TARGET cohort  including 59% of patients with cirrhosis (56% in our study) and around 50% of treatment-experienced patients (71% in our study) was 84%. In that study, in contrast to our results, the severity of liver disease and previous protease inhibitor treatments were associated with treatment failure in the model-adjusted estimates. In an Egyptian  and a US real-life study  the SVR rate was > 92%. In summary, our study shows a SVR-rate of nearly 95% in patients without cirrhosis, and 91% in those with cirrhosis, which is comparable to other real-life studies [31, 32, 33].